Preparing to homeschool high school can be a bit intimidating for homeschool moms. From learning the ins and outs of creating a high school transcript to understanding what’s required for college admissions can seem daunting at best. But, we can learn those requirements and more as we need to. One such requirement is the inclusion of high school electives. 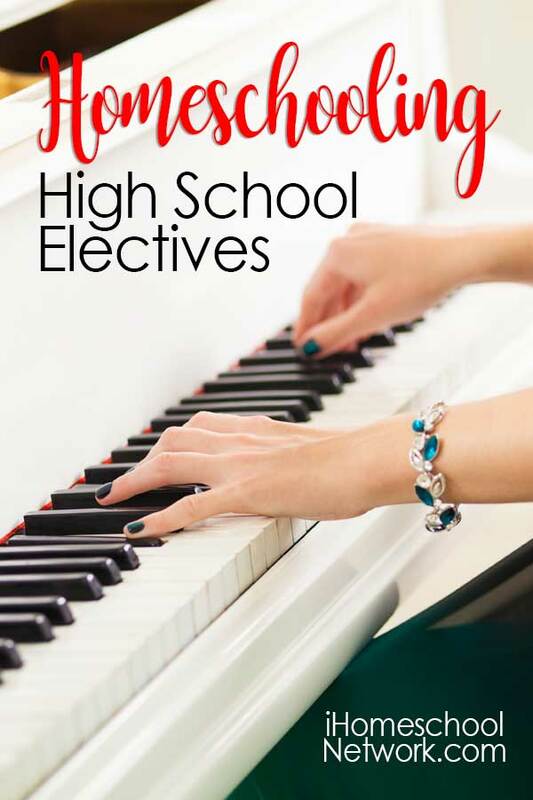 Electives are simply courses that students can choose to take to add to the number of high school credits they need. Some states require a specific number for graduation, while other states leave it entirely up to the parent how many credits are needed. If you are planning for your child to go to college it’s best to see a list of admission requirements that your preferred school provides and work from that. Otherwise, it’s the parent and student’s choices which will determine what courses to include on a high school transcript. Many colleges now require two years of a foreign language as a high school elective credit. But if you are like me, you know you can’t personally teach that. So you’ll need to find an outsourced option. Finding a local class through a co-op or community college are ways to meet that requirement if you prefer to have a live teacher. But, if you would rather your kids a take foreign language in the home, working at their own pace, Rosetta Stone is an excellent option. Natasha from Houseful of Nicholes shares how she is using it in her post: Learn French at Home with Rosetta Stone. Teaching money management to kids isn’t always fun. They might think money comes easily because they see us swiping cards to pay for things. But the reality is as our kids grow into adults they need to have a good understanding of financial matters. Kingdom Code teaches students about financial literacy, budgeting, and money management in addition to building and running a business of their own. While the curriculum is geared toward middle school ages it would be fabulous for a 9th grader as a high school elective. Learn more about how this program teaches more than just the basics of money by reading Tiffany’s Raise an Entrepreneur with Kingdom Code at Homeschool Hideout. Teaching drama in homeschool might seem impossible without a co-op or local theater for your students to participate in a play of some sort. But, that’s not true at all. There are many ways to approach a drama study. Teaching drama isn’t just about acting on stage. Drama can include performances from a variety of perspectives. Whether it’s acting, dancing, or even musical performance. With 7 Sisters Homeschool Drama Curriculum, you can teach your students about drama from a director’s perspective. See how you can each drama in your homeschool by reading Teaching Homeschool Children To Channel Their Drama With Electives from Aaronica at The Crunchy Mommy. “Mini loves to express herself through dance and drama and this curriculum gives you the tools to help with that.” – Aaronica from The Crunchy Mommy. We all know that homeschoolers teach life skills to their students. It’s kind of what we are known for, isn’t it? But life skills isn’t just another thing we tack on to lessons. We encompass life lessons into all that we do and it can be a high school elective. Using a guided curriculum can help us to provide a comprehensive course that can serve as an elective credit. Paradigm Accelerated Curriculum’s High School Course, Character and Skills for Home and Careers, is exactly the kind of course that helps you to do just that. 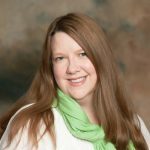 Read how Shawna from Not The Former Things taught her son car maintenance in her post, Real Life, Hands-On Activities For Teens. Perhaps your child has a passion for music and wants to take lessons. Perhaps you aren’t musically inclined. Take Lessons offers you a way to provide music lessons to your kids. They have options for taking lessons locally as well as online. So even if you don’t find a local teacher you can still provide quality music lessons like, piano, flute, saxophone, guitar, and more. Take Lessons has many opportunities in addition to music, such as performance, computer skills, visual arts and more. Be sure to see all the offerings. You can read Alisha’s Help Your Kids Find Their Creative Passions, to see how she used Take Lessons.